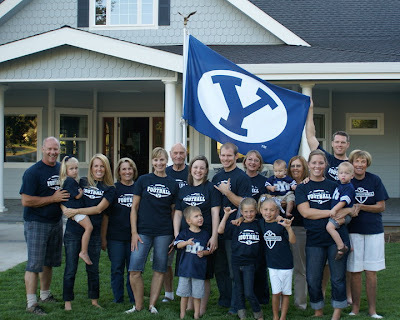 It is highly possible that this post is just to help me feel better and deal with the fact that BYU isn't doing too hot this year (to put it mildly!). blue and white paper plates and napkins, THE WORKS! Can you tell we are BYU fans?! Now that we have dropped to 3-1, the flame is teeny-weeny, but it is still there! Hopefully we can turn this season around! Sorry for your loss! Go UTES!! !